It just got easier to host your beach wedding Bahamas on Grand Bahama Island! Couples tying the knot on Grand Bahama Island now have a new means of traveling to this destination with family and friends for a Bahamas beach wedding. 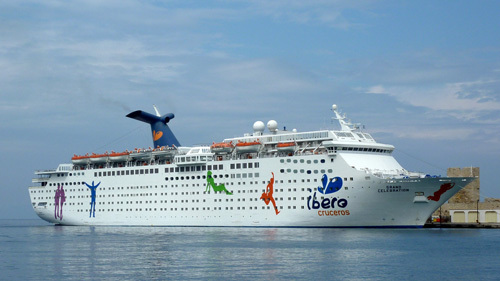 The Grand Celebration launched service from the Port of Palm Beach to Grand Bahama Island February 4. The MV Grand Celebration sailed into the Freeport Harbor at 7:45 a.m., bringing with it some 1,083 passengers from the Port of Palm Beach. The ship caters to both day and stopover passengers. The 1800 passenger capacity vessel brings a new experience for vacationers. Complete with five swimming pools and jacuzzis, 11 restaurants, bars and lunges, 751 cabins and spa and wellness centre, the ship offers a grand experience. Combine the Grand Celebration cruise with a land experience at any one of the island’s hotels such as Pelican Bay and you’ve got an amazing experience. The Grand Celebration cruise may be combined with air … fly to West Palm Beach and pick up the cruise to Grand Bahama aboard the Grand Celebration. Bahamas beach wedding hunting? Nassau will soon have a new venue added to the collection of locations for your wedding in the Bahamas. This beach venue will accommodate both ceremony and reception and will accommodate up to 100 guests. I’m so excited about this new venue … more to come soon! A beach wedding Bahamas is a fun way to say “I Do” before family and friends. Crystal clear aquamarine and turquoise waters serve as a stunning backdrop to a ceremony as well as your colour palette inspiration. The Out Islands of the Bahamas such as Exuma, Governor’s Harbour, Eleuthera, Andros, the Abacos to name a few are a haven for stars tying the knot in The Bahamas. Privacy and seclusion are assured. 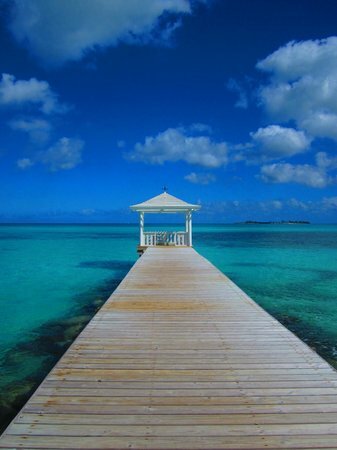 Thus, many a star flock to these pristine hot spots to say “I Do.” Cuisine and service are second to none, particularly at Turquoise Cay Boutique Hotel, Great Exuma. Your Bahamas wedding planner, Chic Bahamas Weddings, would delight in working with you to plan your beach wedding Bahamas in a secluded, private Out Islands of the Bahamas location, Nassau or Grand Bahama Island. We help you with every aspect of your event … from private cay venues to Bahamas wedding design, decor, flowers music, photography, videography, rehearsal event, excursions and morning after brunch. Contact us today to start planning your unique event!